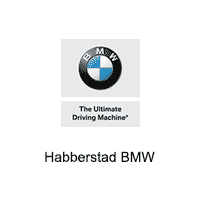 Hurry in to Habberstad BMW for exceptional offers. If you’re looking for brand new, make sure to check out our leasing deals. Not sold on a new BMW? We recommend checking out our certified used BMW inventory or our selection of used BMW models as well. There are plenty of options for you to choose from! Before buying, you must take a look at our used incentives. We want to make sure you are getting your next BMW for our best price. For current BMW owners, our service center is here for you! Top trained and certified technicians are available to assist. From routine maintenance and oil changes, to tough repairs and parts replacement, we have you covered. Schedule your service appointment on our online scheduler today! You are in good hands at Habberstad BMW. For any questions, please give us a call at (800) 997-9313 or stop by at our dealership – 945 E Jericho Turnpike, Huntington Station, NY 11746. We look forward to seeing you!